In a large saucepan, steep the hibiscus tea bags in the boiling water until deep red, about 25 minutes; discard the tea bags. Add cracked ice to 12 glasses and fill each one halfway with the hibiscus tea. Top off the drinks with ginger beer. 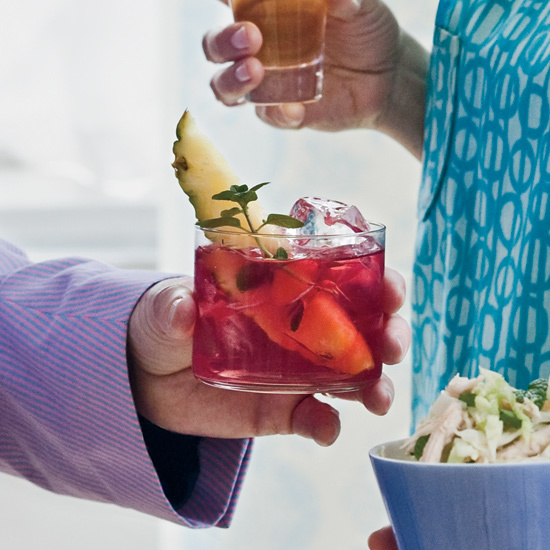 Garnish each drink with a pineapple slice and a mint sprig and serve.